Upgraded from OpenBSD 6.2 to 6.3. Doing a screenshot generates a 3840x1200 picture. More minimalistic - more masochistic! And the left hand window is similar except a 3 second update rate. Last edited by new2BSDlol; 24th February 2019 at 12:13 PM. 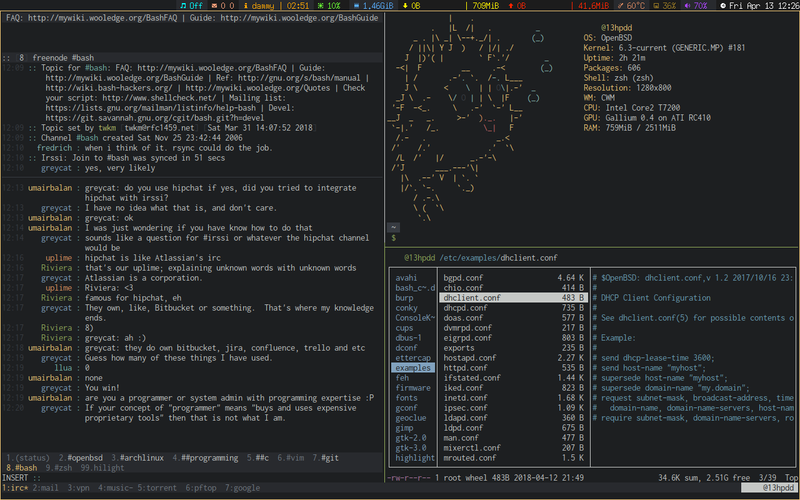 This is the latest incarnation of my OpenBSD laptop, using the i3 window manager. I occasionally use XFCE4, but always find myself going back to tiling window managers, in particular, i3. The terminal I use, terminator, fits in really well within the tiling WM paradigm and replaces urxvt as my terminal du jour. Recently started trying to learn to use ffmpeg to make a screen animation, and gif, below is my first one, after several attempts. I keep all the commands I tried as notes, to help make it easier later on and also often it is a slight different variation of the same command. 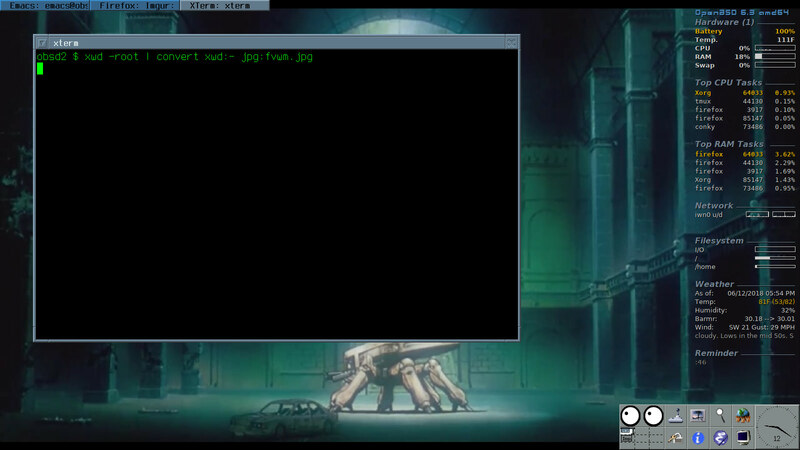 Later it is just a matter of copy/paste the command I need , into the terminal. Last edited by GarryR; 5th October 2018 at 03:42 AM. Well, to be honest, I also have xfce installed, for when I want to go full bloat.